Retreats are a very valuable opportunity to step out of your normal routine and responsibilities and dedicate time to deepening your practice, reflect on what’s going on in your life and that the direction you’re heading is aligned with your values and aspirations, and last but not least…relax and rejuvenate. If you would like to be notified of upcoming retreats please sign up here! Immerse yourself for the day in Hatha and Restorative yoga practice, meditation and healthy food! I will be collaborating with nutritionist Melanie Hanspall who will be providing a delicious 3 course lunch and juices/teas. She will also give a talk on ‘food and mood’ and there will be a Q&A – the perfect opportunity to ask any nutrition questions you may have. 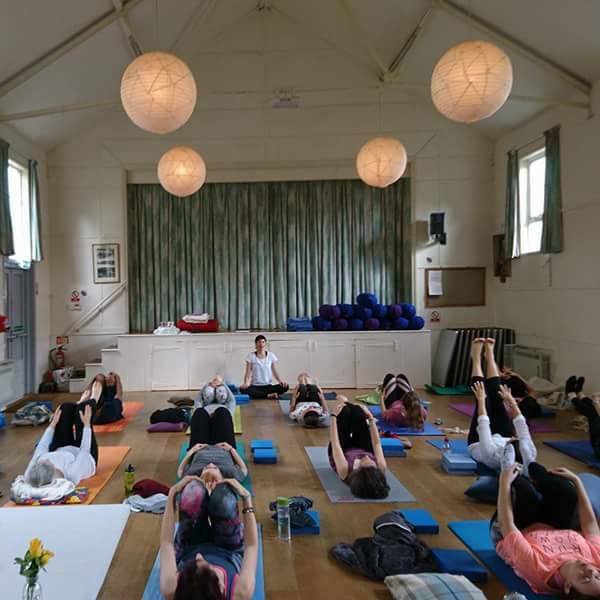 I’m so excited to be teaming up with Cambridge nutritionist Melanie Hanspall from LoveNutritionCambridge to offer a day retreat looking at digestion from yogic and nutritional perspectives! The day will involve a morning of Hatha yoga practice to energise, stretch and strengthen (focusing on asanas that assist digestion) followed by talks from Melanie and myself looking at how to improve our digestion from yogic and nutritional perspectives. The afternoon will include gentle restorative yoga, pranayama and meditation. We will enjoy a healthy and delicious vegetarian lunch prepared by Melanie. Lunch, juice and teas: Fully catered delicious and nutritious vegetarian lunch included in price, plus a juice upon arrival and teas throughout the day. Come and explore the classical path of yoga, from Asana to Samadhi. Lunch: Fully catered delicious and nutritious vegan lunch by The Garden Kitchen included in price.